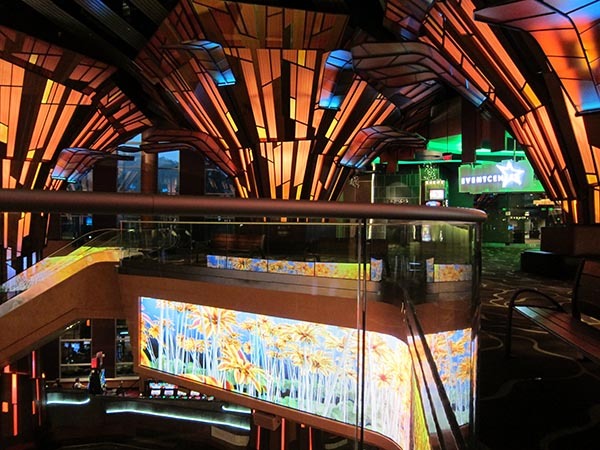 Harrah's Cherokee Casino is one of the world's largest and most beautiful casinos. It offers gaming, including games and slots, including table games with live card games. Live shows featuring popular artists are held throughout the year. The casino is open 24/7, 365 days a year. 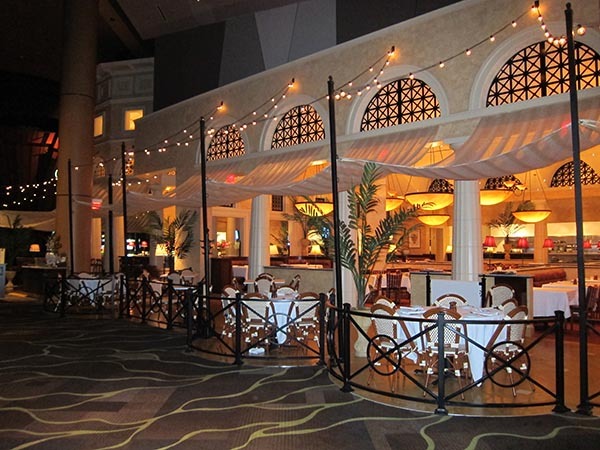 There are several restaurants inside the casino, some in the hotel, and others are located in an area between the hotel and casino making them accessible to all ages. The Chefs Stage Buffet is in a location accessible to all age groups. It offers an excellent variety of food items, including a large salad bar, meats, soups, lots of home cooked vegetables, Chinese, Mexican, Italian, succhi, fruit, and desserts. Friday nights offer a seafood buffet along with other types of food. If you are diabetic, you will find plenty of delicious and healthy items on the buffet. Brio's Tuscan Grill is an elegant Italian restaurant located in an area accessible to all age groups. Selu Garden Cafe (pronounced shay-loo) is located in the hotel lobby area. Currently breakfast and lunch are served. For breakfast, you can choose from their fabulous buffet or order from the menu. The Lobby Cafe located in the hotel lobby offers coffee, sandwiches, bakery items, and more. Located inside the casino is a food court which includes Johnny Rocket's, a Winning Streaks Deli where you can create your own sandwich, side dishes, Pizzeria UNO Express, ice cream, lots of desserts, candy and snacks, and beverages galore. Also inside the casino is Ruth's Chris Steakhouse (elegant dining), and Noodle Bar. There is a VIP lounge for Diamond Players and a separate VIP lounge for Seven Star Players. To maintain their status, Diamond players must earn 15,000 base credits annually and Seven Star players must earn 150,000 base credits. Harrah's Cherokee Hotel is a luxury hotel offering standard rooms, junior suites, and luxury suites. A standard room at this property is much larger than those offered in most hotels anywhere. These beautifully decorated rooms provide either a king size bed with sleeper sofa or two queen beds. They have flat screen TV's and large bathrooms. The newer rooms have a Jacuzzi. A junior suite has a very large bath with Jacuzzi and walk-in shower, a half bath in the living area, a large dining table, wet bar, refrigerator, living area with wide screen TV, a beautiful bedroom with flat screen TV and lounge chair. Your choice of beverages are brought to your room upon check-in. Luxury suites are offered to select Seven Star and Diamond players and provide a large living room with dining area, wet bar, stocked refrigerator (beverages), an extra large bath with Jacuzzi and walk-in shower, and beautifully decorated bedrooms. The hotel has a luxury day spa and an exercise room is available as well as an indoor pool and hot tub.